Newly obtained figures from the Justice Department show that average annual referrals of leaks of classified information from various agencies during the Trump administration have more than doubled compared to those under President Obama. “The number of leaks of classified information reported as potential crimes by federal agencies reached record high levels during the first two years of the Trump administration,” wrote Steven Aftergood, government secrecy specialist at the Federation of American Scientists, summarizing data he obtained through the Freedom of Information Act. Agencies forwarded 120 leak referrals to Justice in 2017, and 88 leak referrals in 2018, for an average of 104 per year, the data show. By comparison, the average number of leak referrals during the Obama administration was 39 per year. 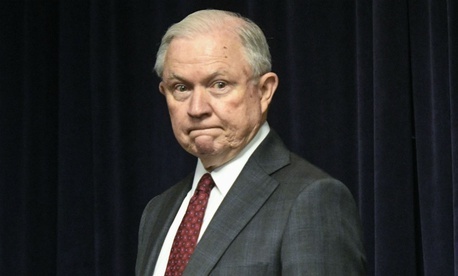 Aftergood noted that thwarting leaks was high on the agenda of Jeff Sessions, Trump’s first attorney general, who described “a staggering number of leaks” during a Aug. 4, 2017, briefing. Sessions also said the leaks “had reached epidemic proportions,” when he testified to the House Judiciary Committee in November 2017. Sessions then said the department had completed nine investigations of leaks over the past three years, but that as many as 27 were currently open, some pertaining to leaks during the Obama years, Aftergood noted in his blog. The number of referrals, however, does not indicate how many resulted in criminal investigations by the FBI, or in which, primarily national security-related, agencies they are concentrated, the blogger added.